Are you taking full advantage of having a certified testing team? Below is a must read for test managers (or those who want to be test managers). Also in this issue, you'll find a new, very important reason companies should choose ISTQB Certified testers. 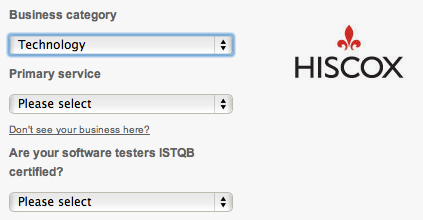 This is great news for you - and developers that hire ISTQB Certified testers. Local Groups: Would You Like to Have ASTQB Sponsor Your Meeting? Improve your software testing processes while experiencing the true community, authenticity and professionalism of the global ISTQB community. With a limit of only 200 attendees, the ASTQB Conference in San Francisco will be the hottest event ticket in 2014! Getting your Test Team Certified! Full descriptions of these tutorials and workshops are available on the ASTQB website at http://www.astqb.org/certified-tester-resources/astqb-software-testing-conference/. Reserve March 24-26, 2014 at the Hyatt Fisherman's Wharf in San Francisco, CA now on your calendar and look for registration information coming soon. Registration will be on a first-come basis, so act quickly when registration opens. Get ready to experience the true community, authenticity and professionalism of the ASTQB Conference! Your testing team is all ISTQB certified. Now what? There are certain expectations we have when testers become ISTQB certified. After all, you didn't send them for certification just so they'd have a pretty certificate to hang on their wall! You are expecting them to gain a real understanding of good processes, common terminology, testing strategies and techniques, and how a tester interacts in the various lifecycle models. If you get your whole team ISTQB certified, there is also a synergistic effect. Your team shares common knowledge and understanding of how testing should work and has probably already determined the delta between "is" and "should be". Let's look at how we can leverage this knowledge to solve the problems that face most test organizations. As a test manager, you are always looking for ways to improve your testing world. This isn't just limited to the schedule, budget and perceived value issues, but also includes the quality of the work, the satisfaction of your people and the long term roadmap. So what can you expect to reap as your rewards for having your team all ISTQB certified? Let's look at how certification aligns with your improvement goals for your team. As we all know, test schedules are subject to compression (one might say compression with enough force to turn coal into diamonds!) as soon as any other part of the lifecycle slips its schedule. Since testing tends to be toward the end of the schedule, testing is what gets squished. This often is reflected in budget overruns when we have to work overtime (if you are lucky enough to get paid for overtime) or when we have to add more time on the end of the already stretched schedule. And, the blame for budget overrun is usually put on the person who is burning the budget at the time the overrun occurs, not necessarily the person or group who caused the overrun to occur. The schedule and budget issues are closely related to the perceived value issue. How often have you heard it said to the development team "can't you just work faster, add more people (we have some administrative staff with nothing to do…), work weekends, cut some corners, etc.?" I've been around a long time and although I've had all those things suggested for my test teams, I've never heard it said to the development team. Why is that? It's a perceived value issue. The value that the development team adds to the project is greater than the perceived value the test team adds. So, when the schedule needs to be compressed, the less valued team is the one to lose the schedule and often the budget as well. That's cold hard reality. If you are reading this and thinking "That's never happened to my team", then you are one of the lucky ones who does not have the perceived value issue. Great! Keep up the good work. For the rest of us though, we have to overcome this perception. So how does the ISTQB certified team help with the perception of value? There are two main concepts in the ISTQB syllabi that are helpful here. One is to have a defined process with clear documentation such as test plans which help to bring the project team together by agreeing to how the project will be run, entry and exit criteria and the general rules of the game. The second is the need for objective metrics to be used to guide and control the project as well as to be used to accurately report the status of the project. These both will help to keep the project on schedule and within budget, or, where that is not possible, will document exactly when and where the project starts into trouble. The inability to meet the entry and exit criteria is usually the best indicator of problem projects. Since the project stakeholders agreed to the test plan with the defined entry and exit criteria, as soon as there is a request to ignore those rules, it's time to bring it back to the stakeholders and get exposure on the issue as well as agreement regarding probable schedule and budget impact. It doesn't pay to be the good guy and bend the rules. The rules were defined for the project, so if they are going to be bent or broken, it's time to make that known. Too often the test team is blamed for slippages when indeed it was the entry and exit criteria not being met that caused the quality or schedule issues. But what about perception of value? The ISTQB certification material teaches us to track several value markers. Cost of quality (COQ) is a big one. So is the defect detection percentage (DDP) (what we caught vs. what we missed). Because you have a trained team that understands the importance of these metrics, you can be sure they are accurately entering information into the defect tracking system that will enable you to track these metrics throughout the project. If you want to prove your team adds value, calculate those COQ numbers to show what your testing has saved the organization in real dollars. If you want to show what you could have saved given more time and resources, you can project that based on the DDP numbers. These are real numbers, not estimates, and have strong credibility. Track them and use them. OK, now everyone knows your team is competent and valuable. What else can you leverage from your team's knowledge? I've never met a testing team that didn't always strive for the highest quality possible. But, it's that term "possible" that tends to be our nemesis. There are many obstacles to high quality: incoming quality, time, training, access to systems, time, manpower – oh, and did I mention time? The ISTQB certified team is uniquely qualified to meet and overcome these obstacles because they are now armed with a set of testing techniques that will address these issues. And you, as the test manager, can deal with the incoming quality issues by writing a good test plan with objectively measurable test entry and exit criteria. If you think the developers are not doing adequate unit testing, add an entry criterion for them to achieve 85% statement coverage in their unit tests, documented in a code coverage tool. If the quality is bad, ask for static analysis tool execution and a clean report with no unaddressed Errors and a limited number of Warnings. How about employing test strategies? Is it time to do risk-based testing to deal with the tight schedule issues? Great! Your team knows how to conduct an effective quality risk analysis session and they understand how risk items should be rated. They understand prioritizing testing based on risk. And, they understand that testing is an important, but not the only, part of risk mitigation. Again though, you have to document the results and make sure the project team understands your approach and can be called upon to assess the residual risk when the schedule time is running out. Don't forget all those testing techniques! Your team is armed with a veritable arsenal of testing techniques that can intelligently reduce the number of tests (e.g., equivalence partitioning at the Foundation level, combinatorial testing at the Advanced level), verify coverage with various code coverage techniques and identify the appropriate test scenarios (e.g., decision tables, state diagrams, use cases) based on the specifications. They can also leverage their knowledge in a controlled and traceable manner with experience-based testing. By encouraging the application of the new techniques and encouraging people to work together to master these techniques, you will improve both the quality of your testing as well as build a cross-trained and technically strong team. Test teams are happiest when they feel valued, when they are contributing and when they are appreciated. By setting the goals, tracking to those goals, tracking the "good work" metrics (DDP and COQ), and letting them work together to utilize what they have learned, they will be a happy team. Of course, a few donuts and bagels here and there never hurts either. But, in general, people want to do a good job, so if we let them do just that, they will find satisfaction in their work. Schedules will still be tight and software will still be shipped before it is ready, but you will have the metrics to support what your team was able to do and what was planned but not executed. This will help in the inevitable "How did you miss this defect" discussions because you have a prioritized list, you tested to that priority, and you did what you could in the time you were allowed. If the testing wasn't good enough, it's because the time was insufficient or the priorities were wrong. Now you can identify and work on solving the real problems instead of having to deflect blame. So where do you go from here? Continuing education is a job perk that helps keep our people current and marketable. Good testers are always looking to improve. 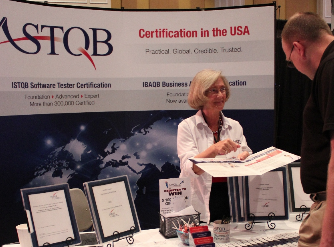 Look toward getting your team the ISTQB Advanced level or even the Expert level certifications. This will enhance your investment, sharpen their skills, and provide even more leverage in the above areas. Anytime we are thinking about long term, it's important to remember to keep those good practices in use. It's easy to start out with grand plans and then lose interest or get sucked back into the daily tactical grind while losing sight of the long term strategy. Don't do that. When you are making processes, make them sustainable. When you are planning metrics and reporting, making them automatic. Don't create more work for yourself – you already have enough of that (although it's impressive that you found time to read this long article!). Make sure your processes and tools work for you and your team. Creating process just for the sake of process is annoying at best and crippling at worst. So leverage that team knowledge and reap the benefits from the ISTQB certification. You made the investment in education, make sure you realize the gains that are there. Your people are smart. Give them the support they need to achieve those improvement goals for your organization. You will see the return on your investment both in the quality and consistency of your team's work as well as in their satisfaction and pride in their achievements. Judy McKay, CTAL has spent the last 20+ years working in the high tech industry with particular focus on software quality assurance and software testing. She has managed departments encompassing all aspects of the software lifecycle including requirements design and analysis, software development, database design, software quality assurance, software testing, technical support, professional services, configuration management, technical publications and software licensing. Her career has spanned across commercial software companies, aerospace, foreign-owned R&D, networking and various Internet companies. Judy has been conducting training seminars nationwide for ten years. Her courses are based on the real world application of practical data. She is the author of two books. "Managing the Test People" discusses building and maintaining an effective quality assurance organization. "A Software Test Engineer's Handbook" is a soup to nuts testing manual that also serves as a preparation for the ISTQB Advanced Test Analyst and Advanced Technical Test Analyst Certification Exams. In addition to being the current president of the ASTQB, Judy also has a "real job" in test management/quality architecture as well as a sideline consulting business. Big news! You, your company, and your clients may now be eligible for lower technology liability insurance costs. Hiscox Insurance Company, rated 'A' (Excellent) by A.M. Best, is now qualifying technology insurance applicants based on whether their software testers are ISTQB Certified. This is great news for everyone needing professional liability insurance: not just testers but also software companies that hire testers, either as employees or freelance consultants. Professional liability insurance, also called errors and omissions insurance (E & O insurance), protects a business if it is sued for negligence. This insurance qualification question - "Are your software testers ISTQB certified?" - means that your ISTQB certification can give you a huge advantage over testers without ISTQB certification when it comes to hiring by software companies, whether you are an employee or an outside consultant. Choosing only ISTQB Certified software testers might help the hiring company reduce their insurance costs. Let your your company, clients, and potential clients know right away about this exciting development. It makes your ISTQB certification - and you - that much more valuable in their eyes. You can learn more and show others the form right now: Technology Liability Insurance Information. ASTQB loves local groups! To support local software testing and quality groups throughout the United States, ASTQB is now making available meeting sponsorships. Each meeting sponsorship will vary, depending on the size of the group. Typically, these are in the $100-200 range, and each local group is eligible for one sponsorship per calendar year. Sponsorship funds may be used for refreshments (e.g. pizza, soda), but you may suggest alternate uses for the funds. Add some spice (or pizza!) to your next meeting. Learn more and submit your request right now. Gain the recognition you deserve! 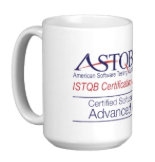 Show everyone that you are certified by displaying an ASTQB coffee mug or wearing the ASTQB shirt. Coffee tastes so much better when it has the sweetness of superior tester certification added to it! Go to the ASTQB Store right now. ALP International (ALPI): Looking to get your team ISTQB Foundation Level certified by the end of 2013? Join ALPI's training and exam December 2 – 4, 2013. Send THREE, the fourth goes for FREE! For specific onsite requests or training on HP or Microsoft test tools and for information on our Bulk Training Program which can save you up to 40%, contact our Training & Education Team at training@alpi.com or 301-654-9200 ext. 403. ASPE-SDLC: Save 20% on Agile Testing Training. Transition sound traditional test practices into an Agile development environment. Just enough, just in time, with responsive high-level quality. ASTQB members get 20% with code ASTQB20. You will learn how traditional test practices impede the speed of software delivery and how an Agile testing approach enhances delivery speed and improves quality. Learning the goals of Agile will help you transition, implement and monitor testing in an Agile testing environment. Learning Tree: Register now for our "Software Testing and Quality Assurance: Hands-On" course at http://www.learningtree.com/courses/316. RBCS: RBCS announces the release of e-Advanced Level Exam Preparation Guides. The e-Advanced Exam Preparation Guide specifically focuses on the updates to the Advanced syllabi and includes two months of 24/7 access to sample exam questions broken down by the sections within each chapter, a mock exam, the accompanying audio and the audio script. Visit the RBCS Testing Resources Store for more information and to purchase your guide today! Receive a 10% discount on the $200 price by entering code EGUIDE13 in the promo code field at checkout. Your discount will appear on your final receipt. Offer expires October 31, 2013. Rice Consulting Services: Rice Consulting Services is offering a special bonus on Foundation Level e-learning team pricing. Enroll five or more people in pre-recorded e-learning CTFL training and get one extra registration free, including exams and textbooks. Use code "ASTQB2013" at www.mysoftwaretesting.com when purchasing the 5-person enrollment. SQE Training: Special offer for ASTQB newsletter readers – Register for any public Software Tester Certification—Foundation Level or Advanced Level course held through the end of 2013 and save 10% with code SAVE10. New registrations only, cannot combine discount with other offers. ASTQB's ISTQB exams are approved for student reimbursement for veterans effective July 1, 2013. Per the official notice, "Approval to offer test for licensing and certification needed to enter, maintain or advance into employment in a civilian vocation or profession under Chapter 36 for the purposes of that chapter and Chapters 30, 32 and 35 of Title 38, U.S.C. and Chapter 1606 of Title 10, U.S.C. whichever is applicable, is granted" for ASTQB's CTFL, CTAL-TA, CTAL-TM and CTAL-TTA exams at their applicable fees. ASTQB will be happy to provide proof of payment and exam results to any student veterans who need this paperwork to apply for the reimbursement. See this GI Bill page for more information. Are you looking for a job, or looking to add an ISTQB Certified Tester? Two new job postings have recently been added to the ASTQB Career Center. To search for jobs, you must be an ASTQB certified tester, but anyone may post jobs. Learn more now. Are you a business analyst who also does testing? Or a tester who also writes or reviews requirements? If so, you will be happy to know that ASTQB offers a Business Analyst Foundation Level Certification to enhance the analysis skills of everyone that writes, reviews or maintains requirements. Learn more now. If you are headed to any of these upcoming events, be sure to stop by and say hello to the ASTQB staff and volunteers! We love to be able to put a face with the name and meet the many wonderful professionals in this industry.